Dragon Ball Super 133 Episodes CONFIRMED for now by DVD's! 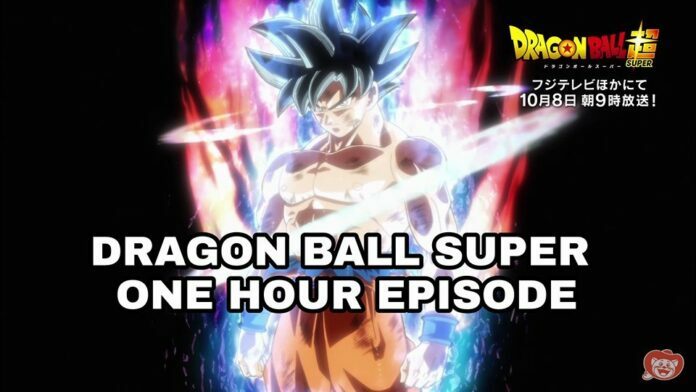 Home Dragon Ball Super Dragon Ball Super 133 Episodes CONFIRMED for now! 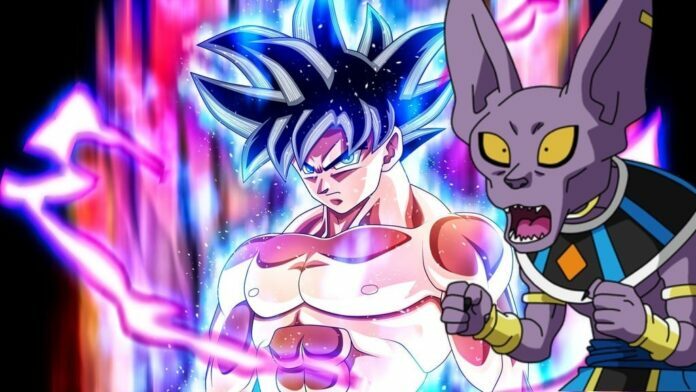 Dragon Ball Super 133 Episodes CONFIRMED for now! Another day another leak! This time it is from Amazon Japan. 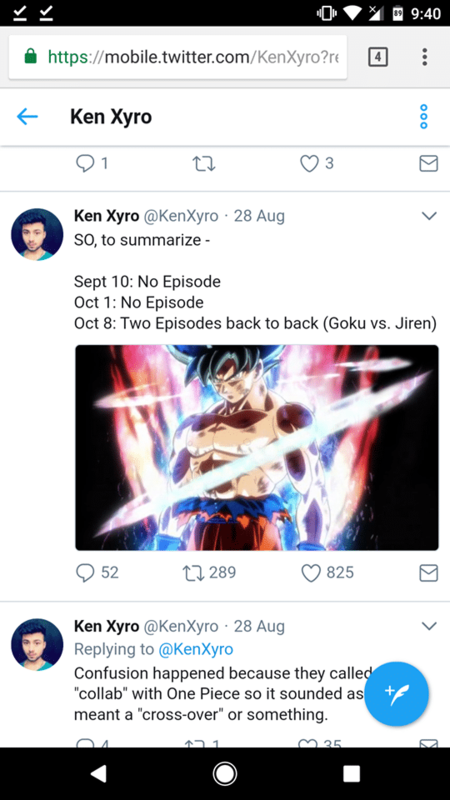 This is for the fans who have been thinking when does this arc end? Is this one also going to be like the Freeza arc? So well we might have an answer to that! Note dates shown on the image are of DVD release and not episode air dates so keep that in mind! Thanks to Gojiitaaf facebook page! 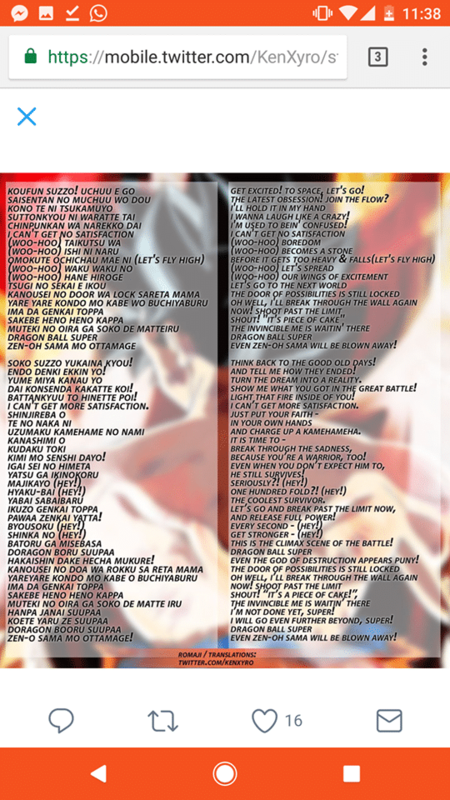 We have the confirmation from this leaked picture of Dragon Ball Super where 133 episodes are Confirmed! Tournament of Power may or may not end before is up to them there is still no Confirmation about that! I have said it many times and I will say it again, I am pretty sure this arc would not end with just tournament of power. This is from Amazon Boxes of Dragon Ball Super DVD’S of Crunchy Roll as DVD’S get released later from the dates of appearance of episodes in boxes that are 11 episodes per box! 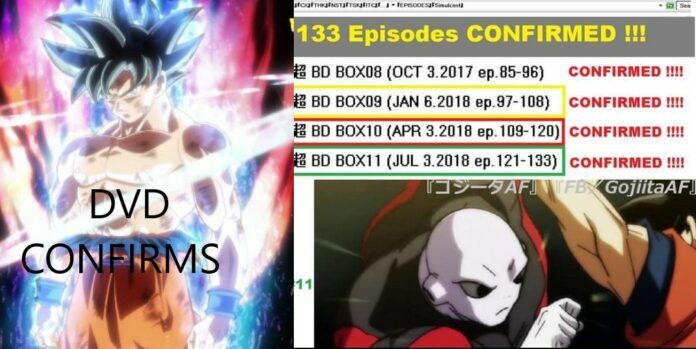 The last box has 13 Episodes which are Episodes 121-133. 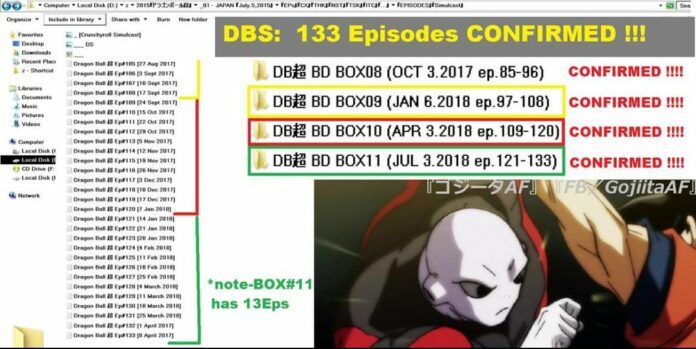 This is just confirming the length of the arc and stuff like that, also more info on how many episodes per DVD box is shown in the pic, the one true question in the pic is- will the tournament be split into two parts or one part?! We are into 5 episode of the tournament of power and it’s been almost 15 mins of the approx 47 mins so this could indicate that things do not end when the tournament of power does. It’s been forever people have started with their speculation about the theories evil grand priest and the Omni King vs Omni King. There was a flying news the new transformation of Goku could possibly surpass God(s) of destructions, if that was to be true there ought to be a God league fight coming soon in the series maybe. Though things are moving slowly that is how things go in Dragon Ball Super. And the coming month would miss 1 episode that is on September 10 and on October 1 but will be compassionated by one one hour special on October 8. Do check out our article on the deep analysis of the special episode! Previous articleWill Vegeta get a new form following Goku? Excited? Next articleVegeta may go down next in Tournament of power!